As with the first two novels of The Moosepath League, Van Reid again proves himself an incomparable storyteller with a spellbinding tale that is both lighthearted comedy and touching drama. Daniel Plainway opens during preparations for Christmas 1896 in snowy Maine. Holiday cheer eludes country lawyer Daniel Plainway as he contemplates the demise and disappearance of a neighboring family with whom he had shared countless happy times. Not a man to forget dear friends, when Plainway learns that a missing portrait of his friend's daughter has been recovered, he sets out on an odyssey that changes his life and the lives of an orphaned child, a large-hearted ballplayer, and an extraordinary woman he meets along the way. Soon Daniel crosses paths with the irrepressible Tobias Walton, his trusty companion Sundry Moss, and the distinguished members of the Moosepath League, a band of true originals who approach events earnestly enough but always seem to leave a good deal of merriment in their wake. Van Reid's family has lived in Edgecomb, Maine, since the 1800s. Reid was a long-time bookseller and lives with his wife and children in a house Reid and his brother built on their family's land. 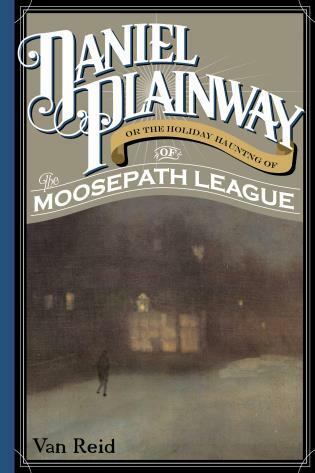 His series of novels about the Moosepath League take place in the late 1800s on coastal Maine.